And finally, off to the last day of this sinful adventure in Cebu. 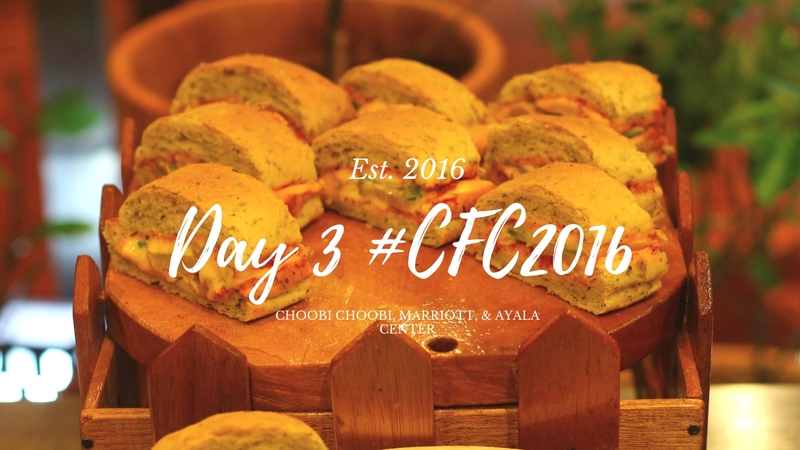 We are now down to the final three: Choobi Choobi Restaurant, Cebu City Marriott Hotel, and Ayala Center Cebu. Choobi Choobi is a family-oriented, casual dining restaurant. Despite its peculiar name, the restaurant's food are mostly Filipino comfort food. Choobi Choobi was derived from Fookien which means 'to enjoy'. That's how they came up with their tagline 'Lingaw Lingaw Kaon'. One of their specialties is the Shrimp in a Bag - a pound of shrimp cooked in different flavors and sauces such as butter garlic, spicy gata, sauteed in garlic, and Singapore style salted egg. Other specialties include Choobi Crispy Pata (that's crispy on the outside but soft and juicy on the inside), Lola Pepang's Fried Manok, Lechon Manok Bisaya, Stuffed Grilled Squid, the Belly Dancer, Grilled Golden Pompano, and Cha Tao Miao - fresh and organic snow pea sprout. Mr. Stan, the restaurant's owner, even taught us on how to eat shrimps the right way. That's a learning experience for me since I just recently started eating shrimps. I was allergic to it when I was younger. The past few days were really toxic. We ate almost anything under the sun and we didn't mind the calories and pounds we consumed. It was really good that the Cebu City Marriott Hotel had cooked up something for us. We were grouped into five teams and the challenge was to create our own version of healthy smoothie using the available ingredients. The kitchen provided us milk, sugar, honey, assorted fruits, yogurt, and a whole lot more. For our group, we blended banana and strawberry yogurt. We call it a No BS Shake. The ingredients are quite simple and our approach in formulating this smoothie was straightforward. This is a great source of Vitamin C and Potassium. We put honey and a small amount of sugar to taste. The perfect combo for this smoothie is carrot cakes and banana fritters. The presentation was nice but unfortunately, we didn't win this contest. I demand a trial by combat! But then again, good food plus great company equals amazing experience. The last (but definitely not the least) stop for this food crawl - Ayala Center Cebu. Like Marriott, they also prepared some surprises for us. We were then again divided into four groups and each of us has a 'passport'. The task is simple: After taking and successfully uploading our food photo on our social media accounts with the prescribed hashtags, the 'officer' from Ayala Center Cebu will then stamp our passports before proceeding to the next restaurant. For our team, we had our progressive dinner at Mooon Cafe, Laguna Cafe, Ulli's, and Majestic. Chimichanga and Gambas a la Luna. Sinigang na Bangus sa Bayabas. Bibimbap and Combi Pork Platter of Ulli's. Thank you so much, Ayala Center Cebu for having us in this year's food crawl! Leaving is indeed the hardest part of every trip. I had so much fun and I am hoping for the third installment of Cebu Food Crawl. I am happy to meet new people who share the same interests. Congratulations to the organizers especially to Atty. Ethy and Sinjin!